Do you need extra cash to pay for rent, gas, phone, and other monthly bills? Selling your junk car is a solution. How much will you get for a junk car? The answer mostly depends on several factors. Leading junk car buyers can give you an instant quote if you fill out the required information in an online form. In a matter of seconds, you will get an idea of your car’s value. Selling a junk vehicle to a reputable buyer is fast and safe. Most junk car buyers use a payment matrix to assure clients a fair and reasonable value for the vehicle. Understanding the difference between selling your junk car for scrap or for salvage is helpful especially if it is your first time. By and large, end of life cars or vehicles that are more than ten years old are classified as scrap although there are a few exceptions. Basically, scrapping refers to the process of breaking down a junk vehicle into several metal parts. In other words, the car will not be used anymore except its spare parts. Usually, the sale value is comparatively lower than selling your junk car for salvaging. Alternatively, you may also earn more cash if you sell an old car to an auto salvage buyer. In fact, you can get your money on the same day you bring the vehicle to the buyer’s yard. On the other hand, the second option would be to get the actual weight of your car. The buyer may use this information together with the current market price. The buyer may also take into account the excess weight as well as the available gas in your vehicle. Generally, junk car buyers provide free towing services. Before you decide to bring your car to a junk yard, you should contact the buyer and ask whether you need to wait for the towing team or not. 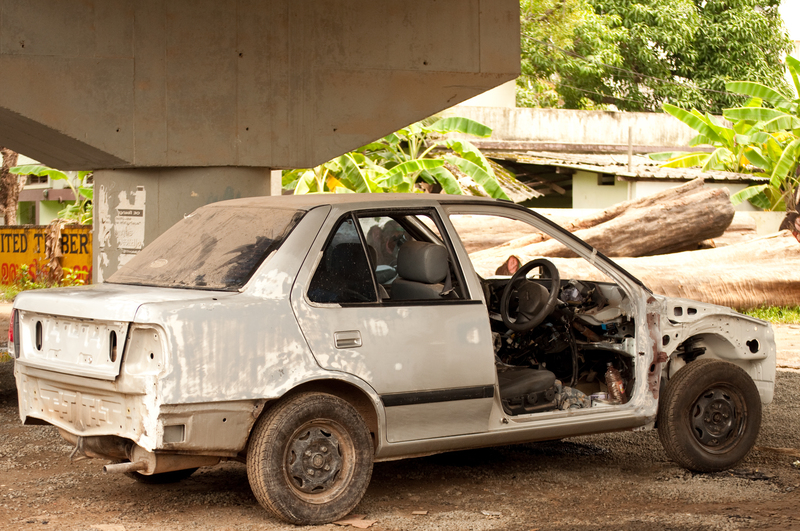 Most of the time, junk car buyers offer free removal or pickup for their customers. A nominal fee may be charged depending on the buyer. The most important aspect in the process of selling a junk vehicle is the reliability of the buyer. Look for reputable buyers who can respond to your questions 24 hours a day. Remember, you should always make that call first in order to get an idea about your car’s net value. The exact price may vary that is why negotiating with a car buyer with a good standing is highly recommended for your own welfare.